American Idol isn’t the show it once was. It’s not even The Voice in terms of talent, relying more on sympathy and off-screen antics to keep the juggernaut afloat as it flounders in the ratings. 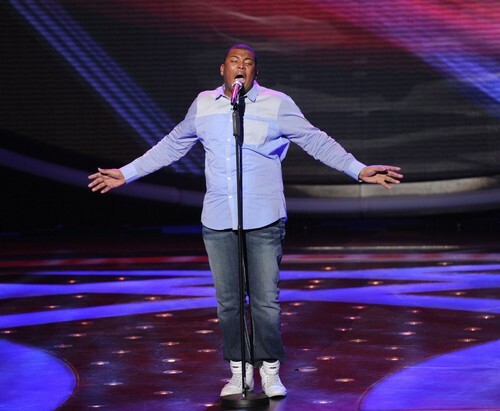 Season 13 contestant Curtis Finch Jr., who is a preacher’s son and a lover of gospel music, has just thrown the show another life preserver to keep the headlines churning. According to The National Enquirer, he was arrested in 2010 for being involved in the theft of a $1,500 laptop from a fellow University of Missouri St. Louis music student and then trying to sell it to another student. Additionally, the theft happened at a church. Wetpaint conducted their own investigation and located the incriminating report. They also contacted the St. Louis County Prosecuting Attorney’s office to verify the information which detailed that Finch was investigated for with a class C felony charge but pled guilty before he could face a wrath far worse than that of any Idol judge. “According to the statement provided to us, the charge against Curtis was amended to a “class A misdemeanor.” In pleading guilty to the crime, he was able to escape jail time and “was sentenced to a fine of $1,000,” said Evans. He also had to pay a civil judgment of $10, according to Wetpaint. Wetpaint attempted to get a comment from Finch’s attorney of record at that time, but there has been no response thus far. Finch may want to leave his past where it is and not have it anchor him as he tries to win the singing competition. He was the first performer of the evening Wednesday night, belting out Fantasia’s ‘I Believe’. Hollywood doesn’t have any saints and his past just might help him burnish his cred. You’re no one until you have a scandal on the resume. To check out the entire detailed investigation of American Idol criminal Curtis Finch Jr. pop over to Wetpaint HERE! To check out our live recap of tonight’s American Idol show CLICK HERE! American Idol Sued For RACISM By Nine Black Ex-Contestants!